June 14, 2009: Today is flag day, which always prompts me to recall a day toward the end of kindergarten when my teacher, Mrs. Gerber, unveiled a new flag in our classroom. We had been saluting the 48 star flag, even though Alaska had entered the Union as the 49th state on January 3rd, 1959. Here it was June and we still had the old 48 star flag hanging at the front of the classroom in Public School 197 in Brooklyn. With all appropriate drama, Mrs. Gerber unrolled the new 50 star flag as she carefully explained that yet another state, Hawaii, would be joining the Union in August. This would be just before we returned to school. Since the City did not have the funds to replace the flags twice in one year, they had opted to wait until the next state was added to make that change. We were getting a preview of the 50 star flag that would become our new National Symbol in August. It wasn't until many years later, while collecting stamps, that I actually saw a 49 star flag. The placement of the stars on the field of blue is somewhat of an art. It must be done in uniform rows to look right. 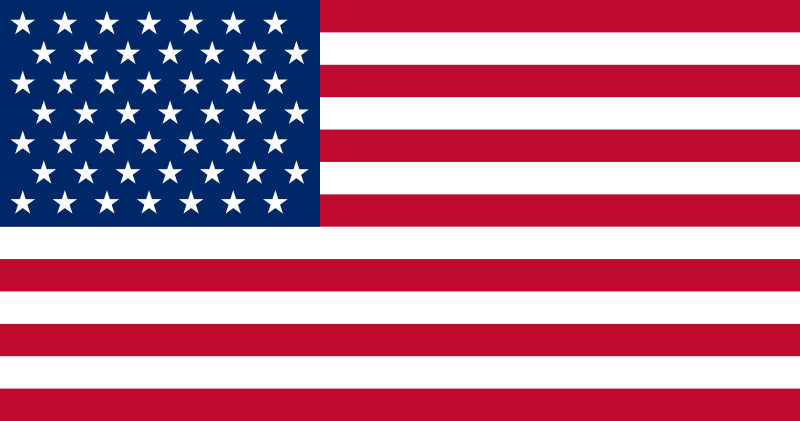 The current 50 star flag relies on a pattern of two rows; 5 stars and 4 stars respectively, repeated 5 times and then the last row of 5 to make 50 stars. Very symmetrical. 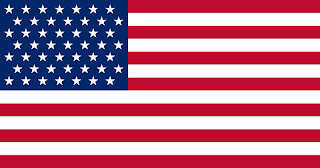 The 49 star flag, which is seldom seen, has the same alternating pattern, only with 4 stars and 3 stars. The pattern, repeated 7 times, yields the 49 stars that represented the States in the Union at the time. The first row is 4 stars and by necessity, the last row is only 3 stars. Flag Day was actually celebrated in the schools back then. Times have changed but history remains the same. So for those who have never seen it, here is the 49 star flag that reigned for a scant 8 months back in 1959.